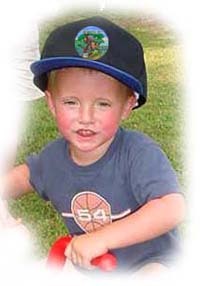 Youth-sized adjustable ball cap comes with an assortment of three medium 2.5" buttons. Choose one to be displayed in the center front (as shown above) OR all three buttons can be pinned on hat to start your geocaching button collection. 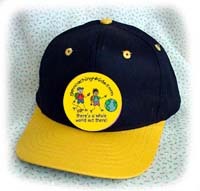 Black hat with bill in choice of blue, yellow, or purple, as shown above.